With ecommerce, the first thing to keep in mind is the purchasing behaviour of customers. Most customers need an instantaneous response, which is why it’s important that your ecommerce website guides and educates customers through each stage of their journey, from an initial query to a purchase. A successful ecommerce website needs a powerful content strategy that goes beyond the fundamental structure of the homepage, product pages, etc. Is your next question, how can content strategy help you? Well to be precise, it not only nurtures your ecommerce revenue potential and your existing customers, it also enhances the SEO of your website. A good content strategy is the best way to build links and target important keywords. Keywords play a crucial role in boosting conversions on your ecommerce website. You may be selling homemade accessories or organic clothes, but if you’re not marketing your products properly, you’ll only reach a limited audience. Valuable content can build your brand, create reliability and help you increase your social media reach, all of which can help you move up in search rankings. 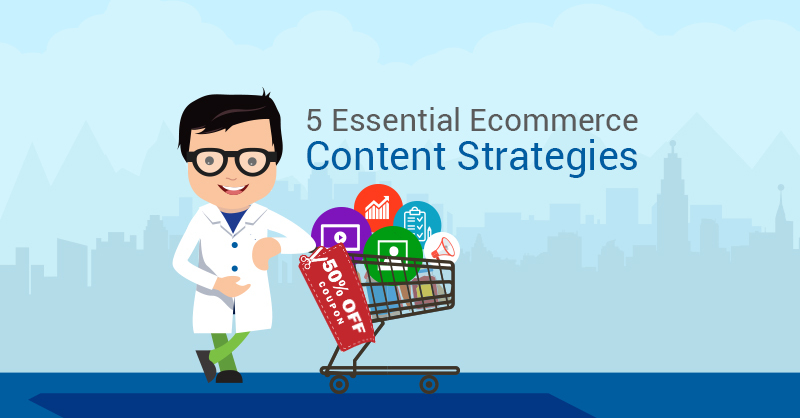 In this blog, we outline five types of content you can implement in your ecommerce website. A buying guide does wonders for increasing your conversions. It is key to attracting new leads and converting them into actual buyers. Suppose a visitor has a specific pair of shoes they want to purchase. A buying guide will include content that will provide basic information on the types of shoes in stock, as well as a description of the product, the materials used, the purpose each shoe is most suited to (running, walking, office wear, etc.). Consider including infographics, which can be a great way to include more visual references and make the buyer’s journey easier. Online consumers like visuals. 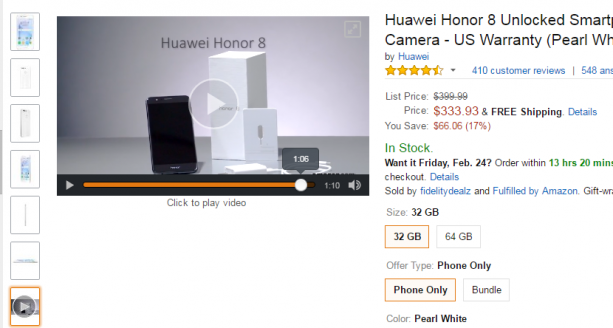 Before buying anything, they always shuffle through any images or videos available about the product on your website. It becomes very necessary to have all the required images along with the product description that might encourage the buyer to make the purchase immediately. In addition to the images, having a video outlining the product details can improve the conversion rate. Tools like DemoUp can help you to create product videos. It can be the latest fashion trend or hot new gadget, blogging gives the whole ecommerce business a boost. Tailored blog topics and content can help you to increase audience engagement in website and social media. Blogging is the best way to convey a message whether it is educating the buyer on how to use something or just simply answering their queries. Content strategy is a campaign in itself, but take your business a step further by offering discount coupons or cash benefits. After all, everyone loves discounts! 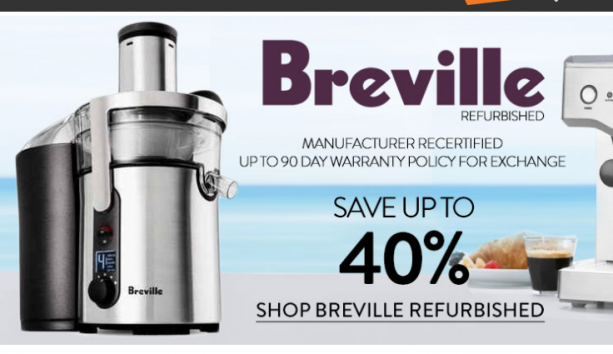 So when you decide to roll out some coupons, highlight the discount using bold letters on your sales page. Consumer buying behavior has a strong connection with the reviews they read about the products. 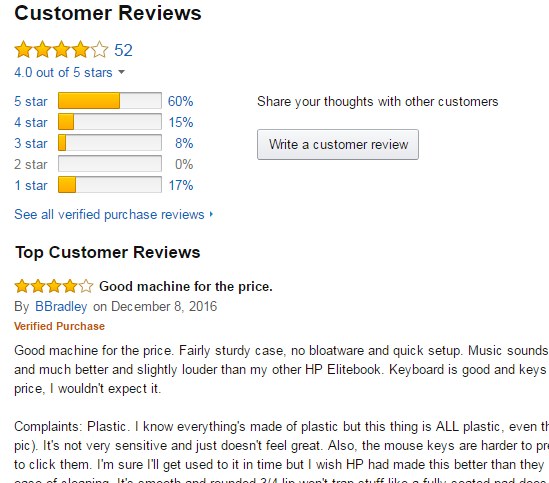 Adding unbiased reviews about the products can help your visitors to make a buying decision. You can try all these content strategies with minimal effort and scale the conversion rate performance. While implementing any content strategy, ask yourself: “How this is going to help my website visitors?” It’s not only going to help them on their purchasing journey, it’s going to boost your conversions in the process. Thanks to share with us..Amazing post for you..so really enjoy your article and using your contents in business so thanks again you….